BARNES AIR NATIONAL GUARD BASE, Massachusetts – The 104th Civil Engineering Squadron Fire Department is an important part of the community with an immediate impact on public safety. Its members work on base but also live, work in, and support the surrounding communities. Fire Lieutenant Travis Witbeck, 104th Fire Department Shift Lieutenant, said that the training that firefighters at the 104FW receive often translates directly to the local communities. The training and certifications that the Department of Defense firefighters receive, is more in depth than the basic fire training that most volunteer firefighters have. Senior Airman Dylan Nygren, 104th Fire Department firefighter, is one of approximately 10 firefighters from the 104FW who also volunteer at departments in surrounding communities. 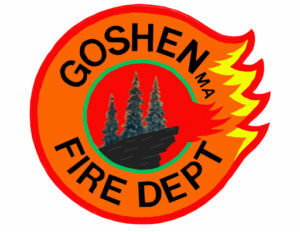 He said he is able to share his knowledge from the DOD Fire Academy and use knowledge that he has gained from experiences and exercises on base, with other volunteers at his department in Goshen, Massachusetts. “It’s definitely helped me with helping other people in the department in Goshen,” said Nygren. Firefighters from the 104FW volunteer in towns all over Massachusetts and New England. Their training, such as rapid intervention and live fire training, and mutual work benefits the 104FW and local departments.